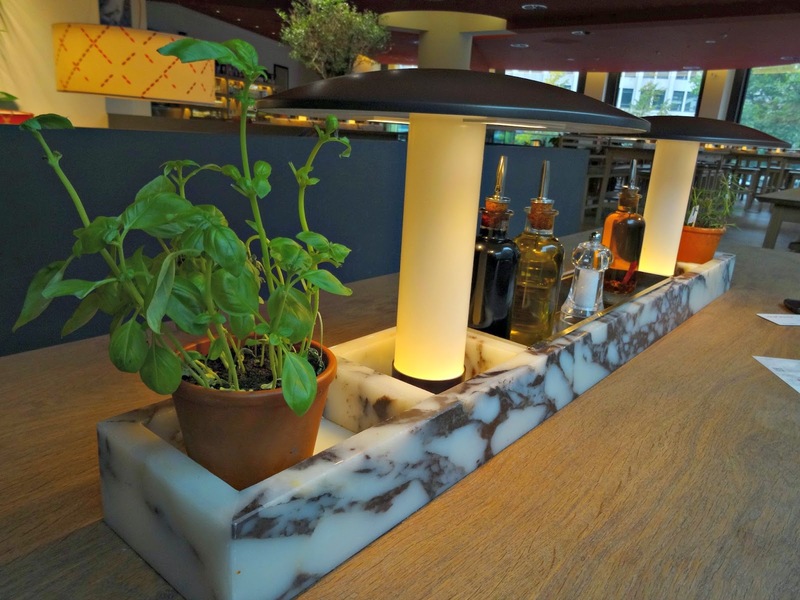 Vapiano is a restaurant chain, known for its affordable prices, chic interior design and freshly cooked meals. Serving Italian dishes, many come here for fine dining at lunch or meeting friends in a relaxed atmosphere. 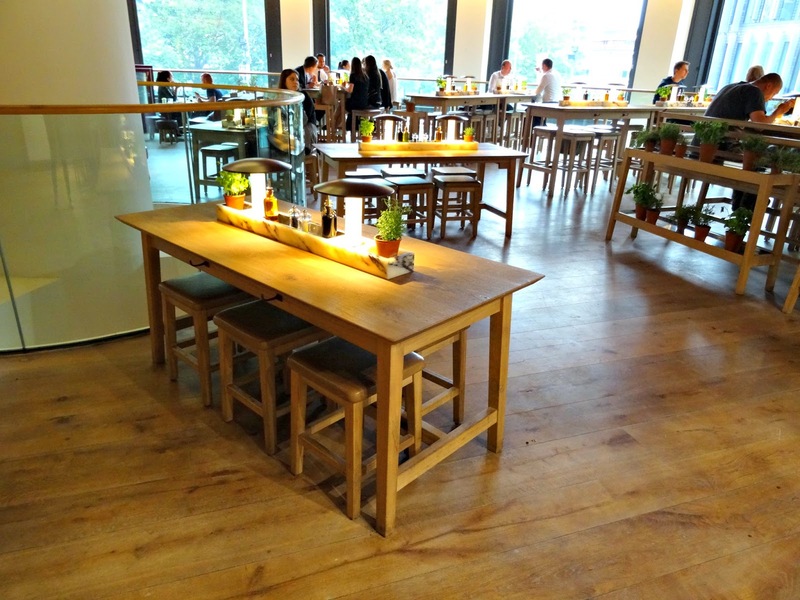 With its fresh and modern design, Vapiano is popular and very stylish. 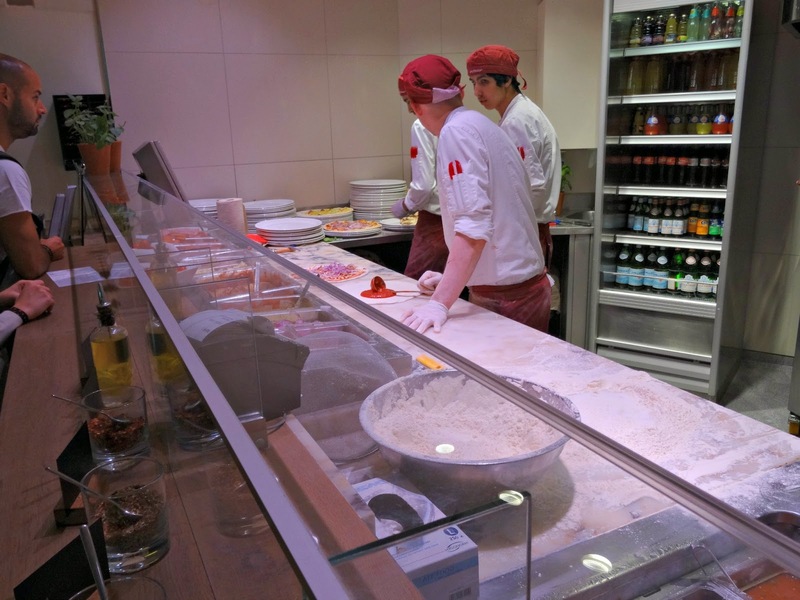 Vapiano’s concept is very unusual. When you get in, you are greeted by a receptionist and receive a card, which is charged every time you order food or drinks. 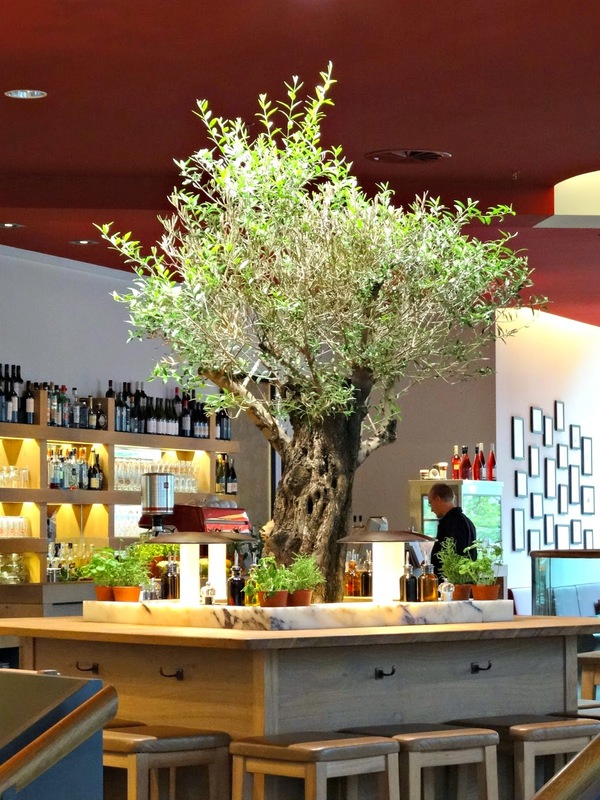 You then take place at one of their trendy wooden tables, decorated with soft lightning and fresh herbs. The second unusual thing about this restaurant is that you can watch the cook prepare your meal in front of you. The menu, which comes in German and English, has classic Italian pasta dishes, antipasti, pizza and salad. When you’ve decided for your meal, you go to the appropriate counter and order your food. Pasta: Your meal is prepared in front of you. You can choose from a variety of different pasta which is weighed at exactly 100g. This allows a perfect portion and after the meal, you won’t feel hungry or overfed. I can approve Pollo Piccante with a tender chicken breast in orange chilli sauce, homemade ravioli with a spicy tomato sauce and all`Arrabbiata. Crema di Funghi has become my all time classic when I'm visiting Vapianos. The mix of fresh mushrooms with a creamy white wine sauce, spiced up with some garlic and chilli is sheer heaven! Look at the presentation, aren't those lovely plates wonderful to look at? 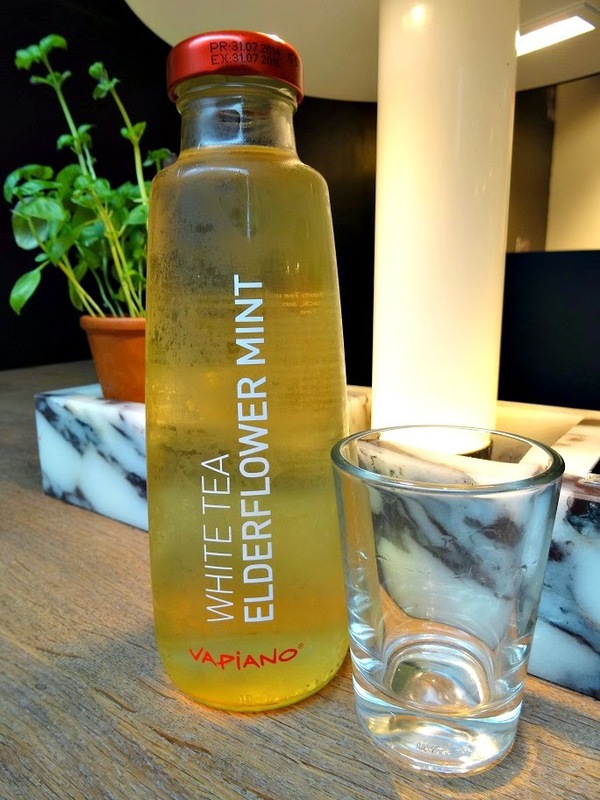 Furthermore, Vapiano has its own range of drinks and delicious ice tea. The flavours peach and elderflower are refreshing and the 750ml at 3.50€ are great for sharing. I’ve eaten many times at Vapiano, in fact, it is my favourite food place in Germany. Though it is a chain, it creates that special restaurant feeling every time. It has an energetic, metropolitan flair yet it is super stylish and the food is very nice. The only downside is that it gets tricky to get meals served ready at the same time, in case you visit with a larger group of people. 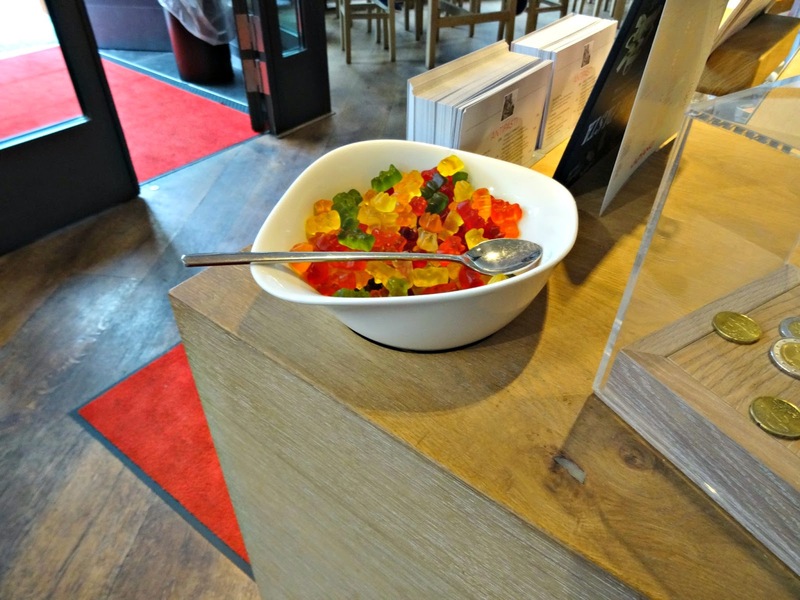 At the end of your stay, you pay the amount charged on the card at the reception and don’t forget to take some gummy bears with you on your way out. Prices start at 6€ - 12€ and the chain is not only great for lunch breaks. Meet your friends here in a relaxed atmosphere or visit with your colleagues for after work drinks. 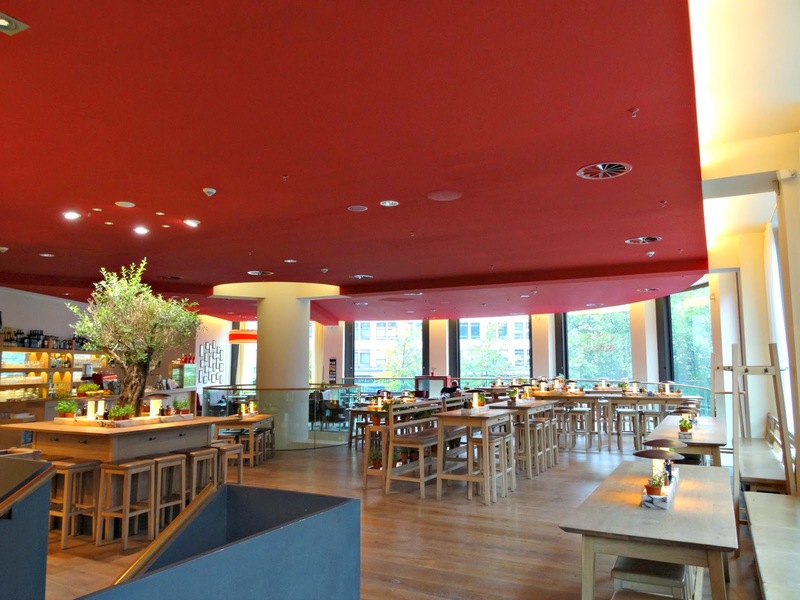 Vapiano can be found in nearly every city in Germany. I’m happy to see, that the chain has expanded to London. There are three restaurants in central, near Oxford Street. I haven't tried the Vapiano experience yet in the UK, but I hope to be their guest soon. 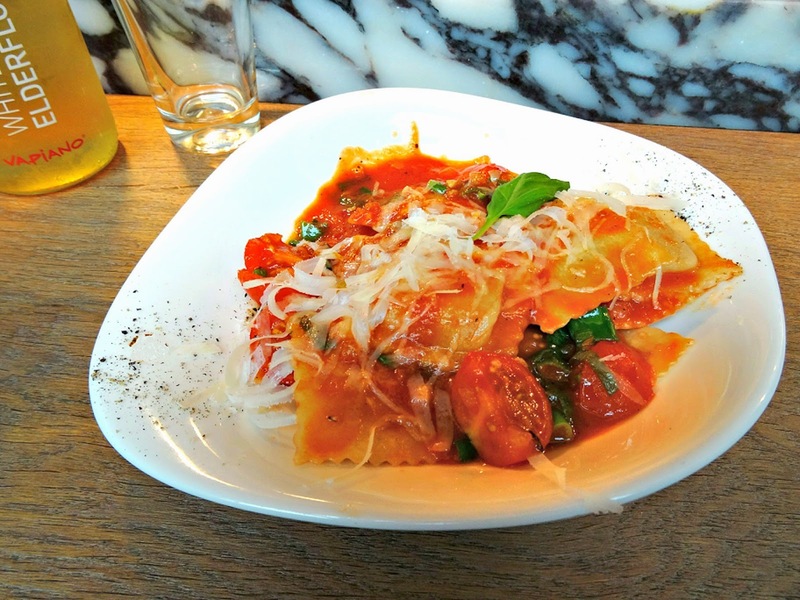 Let me know if you have been to Vapiano yet and which dish is your favourite meal.